Stealing from employees is just wrong but that doesn’t stop a boss who’s a Grinch. Not only do they make off with your hard-earned cash but they steal your hope of ever recovering it too. With tourism a major component of Florida’s economy, the service industries (e.g. restaurant, bar, lodging, retail) and construction trades dominate our workforce. Visitors come to Florida during the holidays to enjoy our tropical weather amidst theme parks, beaches and swaying palm trees. What they don’t see is that for far too many Floridians, working here is no paradise. The industries representing the largest sectors of our workforce are rife with workplace abuses, including wage theft, which is one of the most widespread. 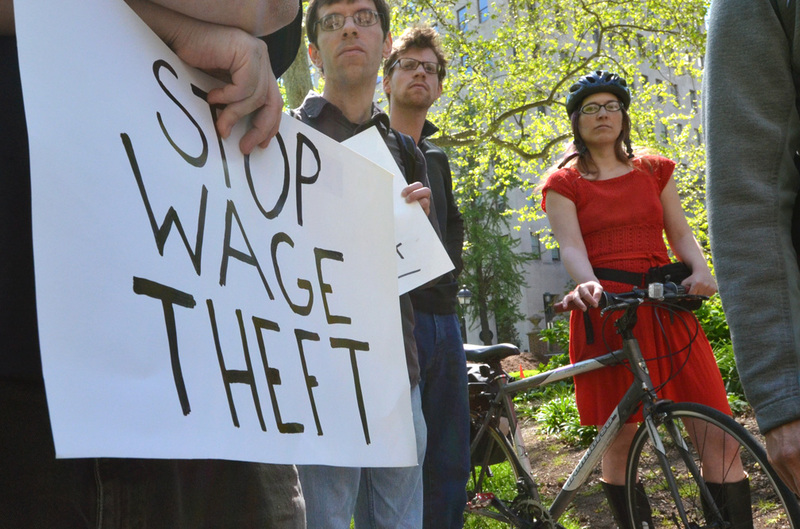 Despite progress in recent years, wage theft remains a serious issue for Florida’s workers. It manifests itself in many ways, but basically, it amounts to not getting paid for the work you perform. While the obvious example is not receiving a proper paycheck, other instances include; working off the clock, working through lunch and other breaks, and not receiving vacation or other benefits due. To make things worse, many victims are low-wage workers who can’t afford to miss a paycheck and don’t have the resources to recoup lost wages. This often pushes hard working Floridians to depend on social services in order to just survive, thereby compounding the costs to our communities. Wage theft is an obvious violation of workers’ rights but many don’t realize that the process to recover stolen wages is even harder in Florida than other states. Over a decade ago, when the Florida Department of Labor was eliminated, it became impossible for the Federal DOL to investigate and enforce the numerous wage theft claims in Florida making it a haven for Grinchs. Many workers found themselves mired in a process taking months or years. Even when it resulted in a victory, no real penalty was enforced against the employer to discourage future violations. Thankfully, local governments began to recognize and respond to the needs of workers and in 2010, Miami-Dade County passed the first ever Wage Theft Recovery Ordinance in Florida. Local ordinances, such as the one in Miami-Dade, have spread cheer to working Floridians across the state, allowing more workers a fair shot at receiving their hard-earned wages and punishing Grinchs for stealing. However, our Grinch-friendly legislature in Tallahassee disagrees with this form of local autonomy and keeps trying to pass legislation to abolish local ordinances. Undeterred, counties and municipalities continue to pass wage recovery ordinances. In 2015 alone, Osceola, Hillsborough and Pinellas Counties passed similar laws, as well as the City of St Petersburg. When combined with the existing ordinances in Miami-Dade, Palm Beach and Alachua counties, more than 1/3 of all Florida workers are now covered by local ordinances. While this should make it more difficult for the legislature to overturn these ordinances, it still leaves 2/3 of Florida’s workers unprotected. Until the state legislature stops its misguided campaign against local ordinances and provides a real statewide solution to recover stolen wages, workers will have to continue to fight for local ordinances to stop the Grinch who stole their paycheck.